Celebrate 25 years of the Teenage Mutant Ninja Turtles with these original figures! 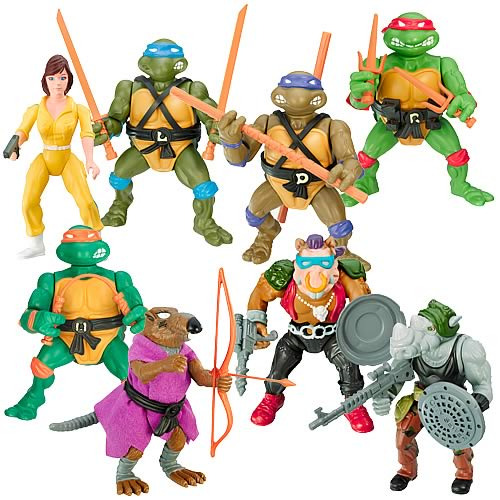 These iconic toys represent characters from the original Teenage Mutant Ninja Turtles TV Series! They come with all their classic accessories and detailing!